Fight for the universe with your favorites. 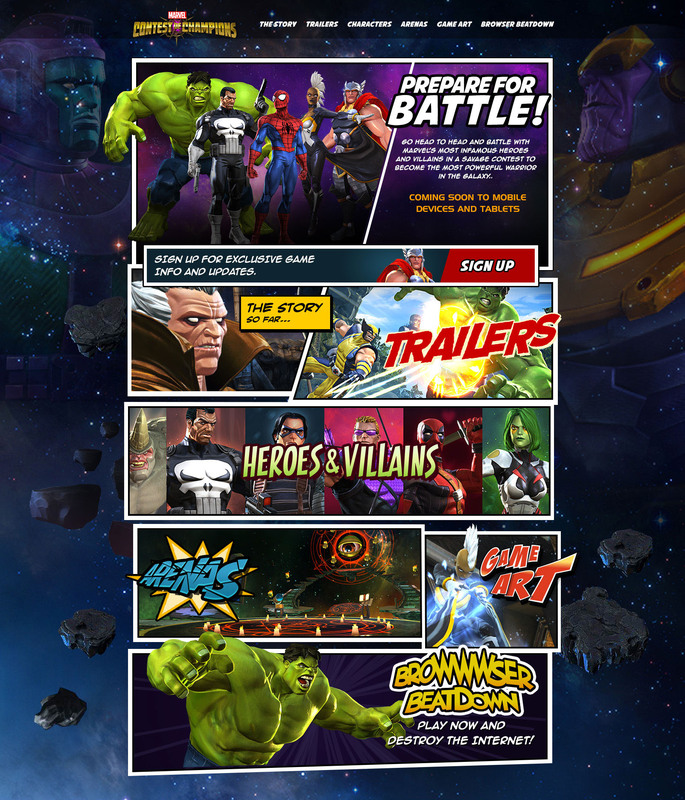 Armed with a huge cast of heroes and villains, and a storyline based on the classic crossover series of the same name, our task was to keep fans excited in the months between New York Comic Con and the game's release. Working on this was a big win for middle school Tif. A Jack Kirby comic come to life. We used game visuals, concept art, and anything else we could get our hands on to emulate Kirby’s style and convey the cosmic scope of the game. This included the general look, color palette, angles of the screenshots, style of menu items—everything. An episodic prologue to set up the game's story arc. We worked with teams at Kabam! and Marvel to keep the look and tone true to source material. The interactive comic panel format gave us a novel way to introduce some unfamiliar characters and give greater context to the game's universe. 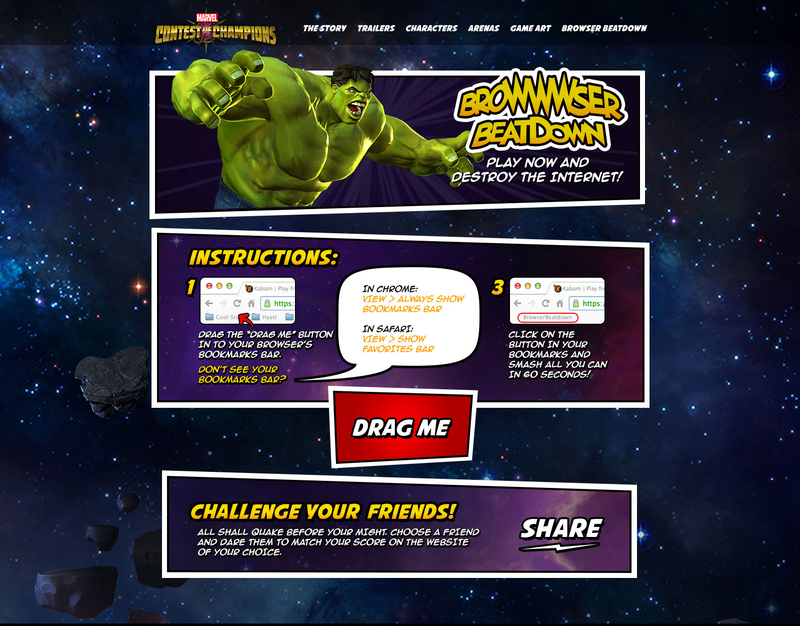 The fight for the universe starts on the internet! What better way to introduce gameplay than to let people smash the html elements on a webpage with some of their favorite characters? We (definitely not me) built a browser plug-in that turns any page into a Rampage-style free for all. Smash whatever you can then challenge friends to beat your high score on that site.